Enjoy our special music. It's different every Sunday. Wells Ladies in their finest. 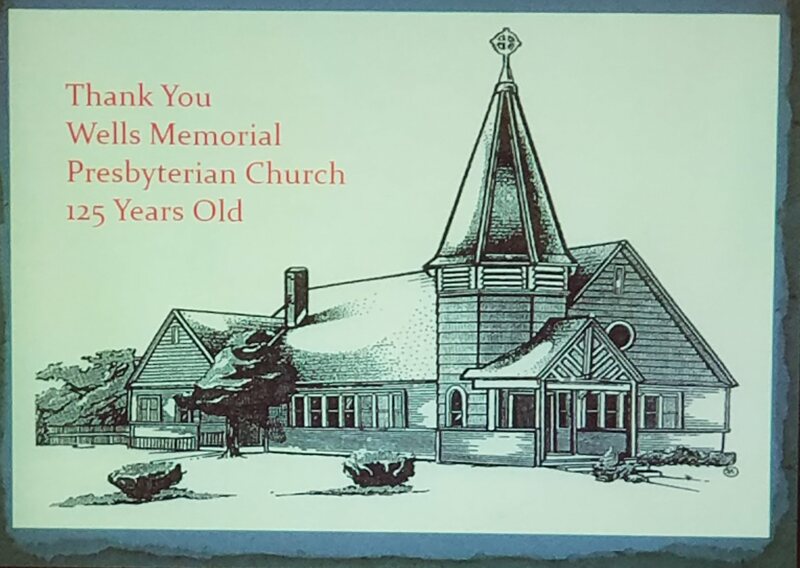 Since 1892, Wells Memorial Presbyterian Church has been “the church away from home” for vacationers of many faiths. 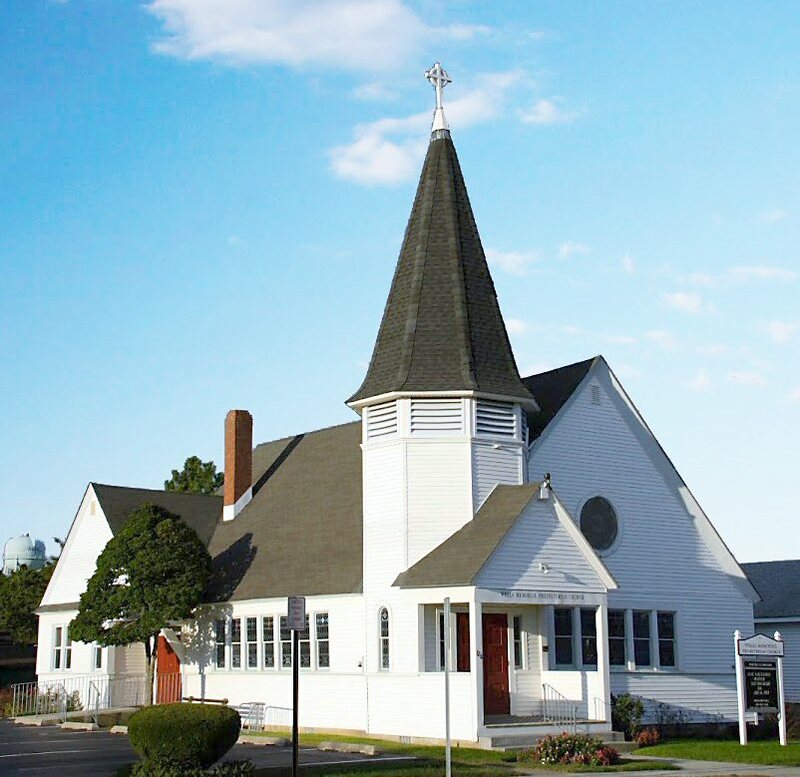 Services are held every Sunday during the summer season, beginning on Mother’s Day and concluding on the last Sunday in September or the first Sunday in October. 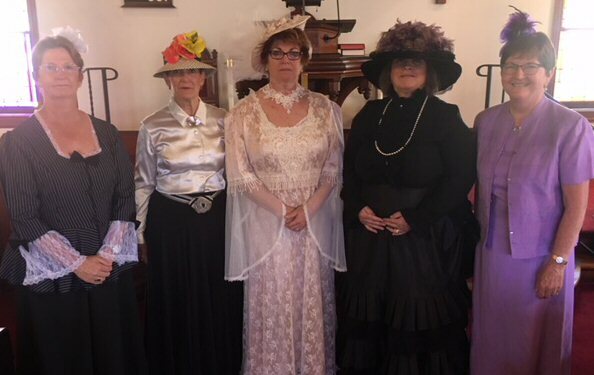 Invited clergy provide the spiritual leadership while temporal affairs are administered by a committee of property owners who are active lay people in their home congregations. 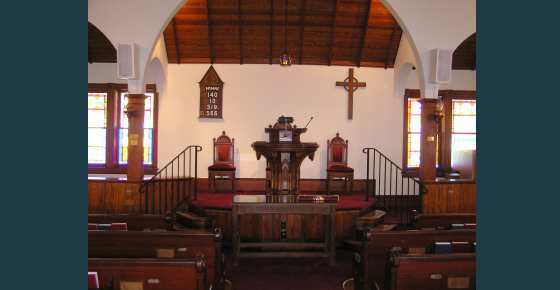 The church has no members, but is overseen by the Presbytery of West Jersey of the Presbyterian Church, USA (PCUSA). 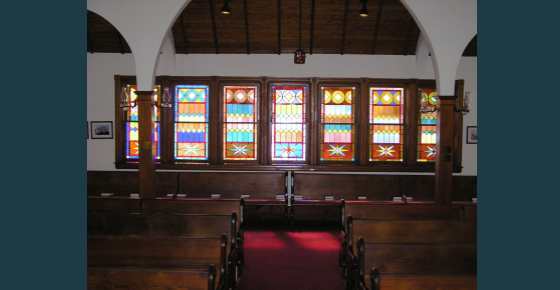 Maintenance of the sanctuary, the manse and the on-going program are made possible by contributions from those who worship here. 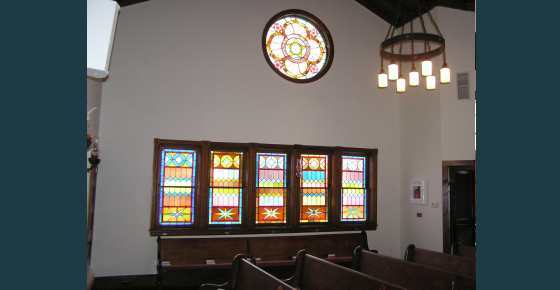 The church can be made available for weddings and memorial services during the summer months. Please contact Chairman David Knoche at 609-368-2624 to discuss your interest. Guidelines for weddings are shown below. 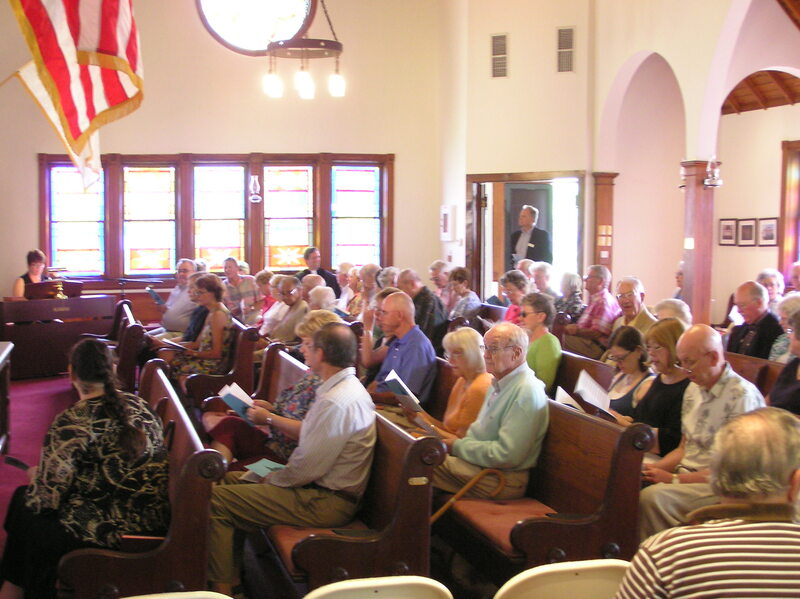 Use of the Church Building: Use of the sanctuary and grounds are under the oversight of the Wells Committee, which is in the position to schedule weddings, as pastoral leadership changes bi-weekly during the summer. 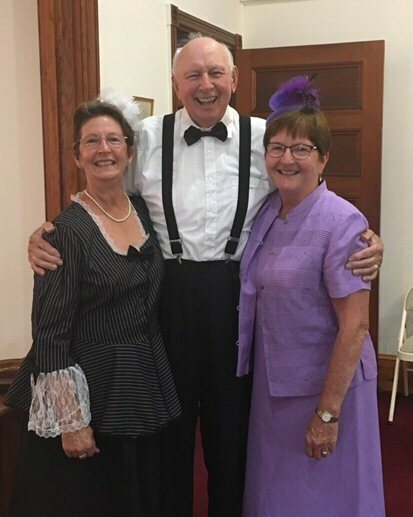 Weddings may be held while the church is in regular operation, from about the first Sunday in May to the last week in September. 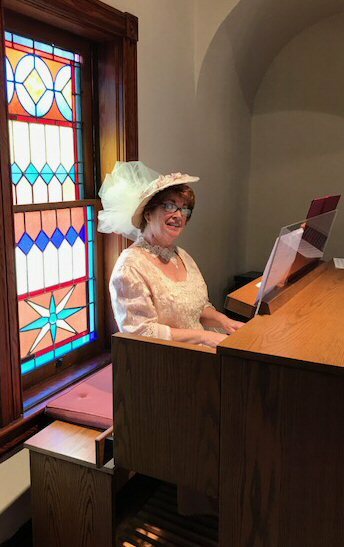 Who may conduct Weddings: Pastors serving Wells during the summer or ordained clergy who are members in good standing with a governing body of a denomination in correspondence with PCUSA may be approved and invited by the Wells Committee to conduct weddings. Marriage License: In order to facilitate registration and legal matters, the license must be delivered to the church or manse at least one day prior to the wedding. In New Jersey, a marriage license may be obtained from: (1) If either of the applicants resides in New Jersey, the couple should apply in the municipality where either one resides; (2) If neither of the applicants resides in New Jersey, the couple should apply in the municipality where the marriage is to take place. The church is located in the Borough of Avalon, where the couple must apply in person (accompanied by one witness at least 18 years of age who knows them both.) There is a 72 hour minimum waiting period between time of application and the license’s issuance. The license may be issued any time after that waiting period and may be picked up by someone other than the couple. Once the license has been issued, the wedding must take place within 30 days. Please call the Registrar of the Borough of Avalon for an appointment to apply. 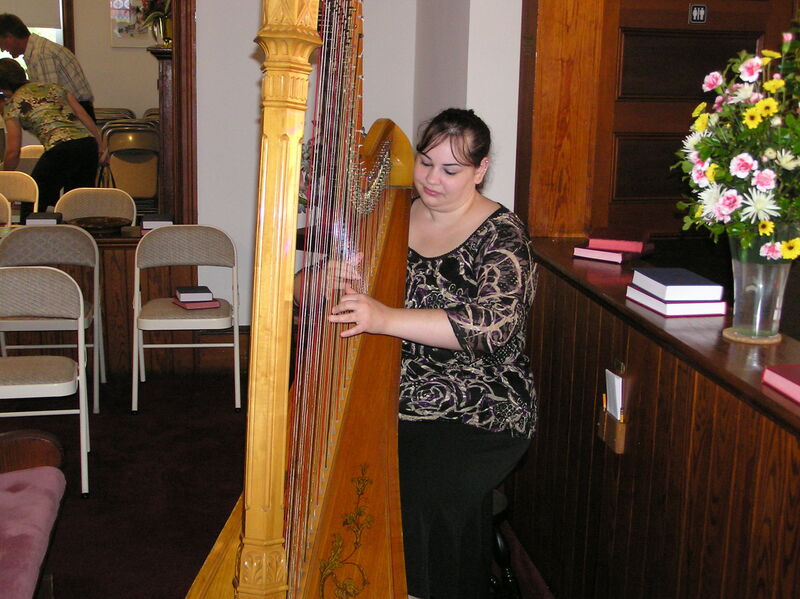 Music: A Christian Wedding is a service of worship in the presence of God. Music used during the service should be directed to God, who glorifies and sanctifies marriage. Sacred music is preferred to secular. Music is subject to approval by the officiating Pastor. Questions regarding appropriate music should be directed to the Wells Presbyterian Organist. Organist: The Wells organ is to be played by trained organists. Wells’ organist is usually available for weddings, but other organists may be used with the approval of Wells’ organist. Soloist: Wells does not have a choir. Soloists or acoustic instrumentalists may be provided by the couple. Decorations & Flowers: Appropriate decorations and flower arrangements may be provided by the couple. FLORAL ARRANGEMENTS, REARRANGEMENT OF FURNITURE AND MOVING OF HYMNALS AND BIBLES MUST BE MADE IN CONSULTATION OF THE COMMITTEE AND RECEIVE THE APPROVAL OF THE COMMITTEE. The communion table should not be used for flowers. Aisle Runner: The sanctuary at Wells is carpeted, and there is no special need for a runner. If desired, it may be provided by the couple (or their floral provider.) We do not recommend plastic runners, which are subject to puncture and accidents. Reception: The church does not have facilities to accommodate a reception. Rehearsals: Are normally held on the day prior to the wedding, and should include all members of the wedding party. Members of the wedding party are expected to be respectful of where they are and what they are doing. The rehearsal will be under the direction of the officiating clergy, but should not extend beyond 7:30 pm. Photography & Video Recording: Photographs may be taken during the service, but the use of Flash photography should be limited to the processional and recessional. Video recording is permissible, but such recording should be done from the rear of the sanctuary and in such a way as not be conspicuous or disruptive. 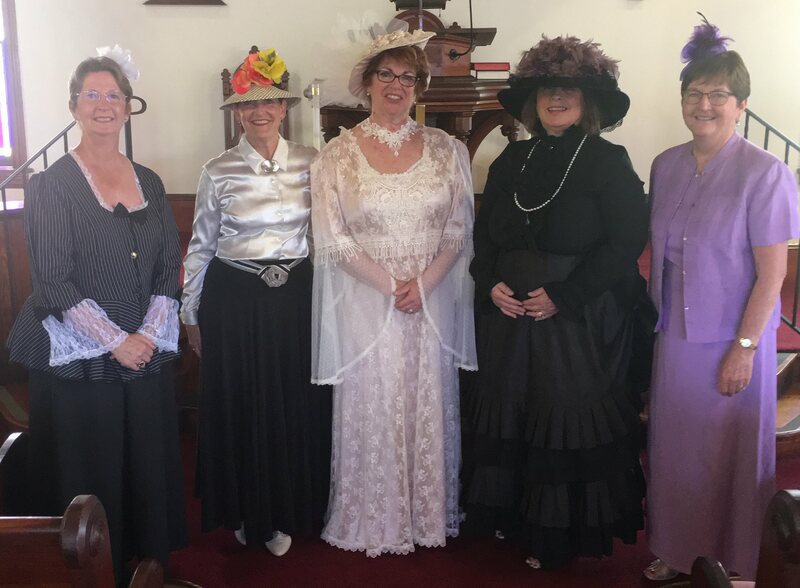 The wedding party and family may pose for pictures after the service, and parts of the service may be restaged for this purpose.